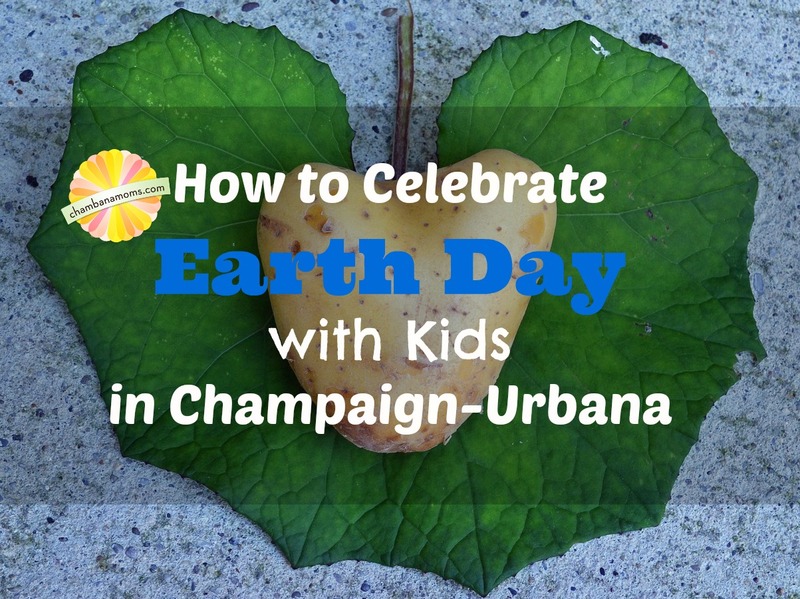 Looking for ways to honor and celebrate Earth Day with your kids in Champaign-Urbana, and surrounding areas? We’ve got the dirt on some of the best environmentally friendly events in the community that are both fun and educational and even some suggestions for how you can show your love for the planet in your own backyard! Earth Day is Monday, April 22. Festivities will be taking place in the days surrounding the actual day, though. We’ve included the Earth Day-related events in chronological order. If you would like to add your organization’s event, please visit our calendar submission page. Bring Goodwill your old & broken computers and computer accessories to be recycled responsibly. Go to one of the many local parks in the area and play! Make sure to bring some garbage bags and plastic gloves and after playtime, have your kids help pick up any litter in the area. Plant a tree, a bush, a flower, a seed — anything that allows your child to dig in the dirt and learn about living organisms. If you don’t already recycle, set up recycling bins and explain to your kids why it’s so important to reduce, reuse, and recycle. For more on local recycling options, click here. Watch The Lorax or the Disney movie, Earth. Turn out the lights and make a point to tell your family you are conserving electricity. Grab the baby backpack and go for a family hike or enjoy a family-friendly walking path.